Wake-up Call For That ‘Buy Low’ Opportunity? If you are new to what appears here, please forgive me if I seem to be nagging a bit. Sorry if this sounds like your mother’s sterner voice coming at you (that one from years ago – the one she used when you were especially absent-minded, often accompanied by a scowl). If you’re not guilty, please know this is not directed at you. For everyone else who’s been checking in to find out about the Northern California home prices or about Walnut Creek real estate in general, you know I’ve been beating the drum about the unusual combination of great real estate buys and low mortgage rates. Ever since the housing crisis created a large overhang of distressed properties, there was a general reluctance to take advantage of the situation – even though in real estate, as in other investments, the adage buy low, sell high is as true today as ever before. I haven’t been shy about pointing out that it couldn’t last forever. Last week the inevitable apparent sea change seemed to hit the front pages in a big way. One really significant front page in particular: The Wall Street Journal’s. Their news flash was subsequently picked up and amplified on national, then local TV news shows. In other words, the pot truly began to boil. The front page, above-the-fold headline was unusually unambiguous: “Home Prices Climb As Supplies Dwindle.” The article elaborated that during the last quarter, home prices rose by the largest percentage in at least seven years. The climb was 2½ % over June — and a full 6% above the previous quarter! Demand, the WSJ reported, is up, while supplies are down “sharply.” Main reason: The distressed sales numbers (foreclosures, short sales, etc.) 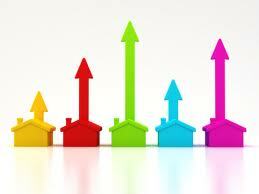 show “better and better prices.” Another reason: investors have been ‘scooping up’ homes. 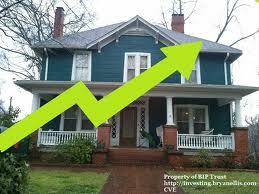 Now, of course this mega-blip on the home price radar screen is almost certain to be followed by more ups and downs. Anything is possible; trends don’t move up in a straight line; etc. etc. etc. But if you are one of many who have been waiting for Contra Costra or Alameda County home prices to drop further, the Journal finding may come as a louder than expected wake-up call. It might also give Walnut Creek, Lafayette, San Ramon, Danville and Alamo home sellers reason to begin getting a bit more stubborn about their own bottom lines. If you are beginning to think that the time is ripe for your own family’s move to homeownership, or are a Vallejo, Benecia, Concord, Pleasant Hill or Lafayette homeowner who has been patiently waiting for the right time to make a move, I would welcome your call to discuss the current market. If we are to believe The Journal, it looks like some major moves are already underway!